The gelada baboon, sometimes called the bleeding-heart baboon because of its obvious crimson breast patch, is not actually a baboon at all according to some scientists, but an old world monkey. It is placed in its own genus Theropithecus (the Greek root word for “beast-ape”). 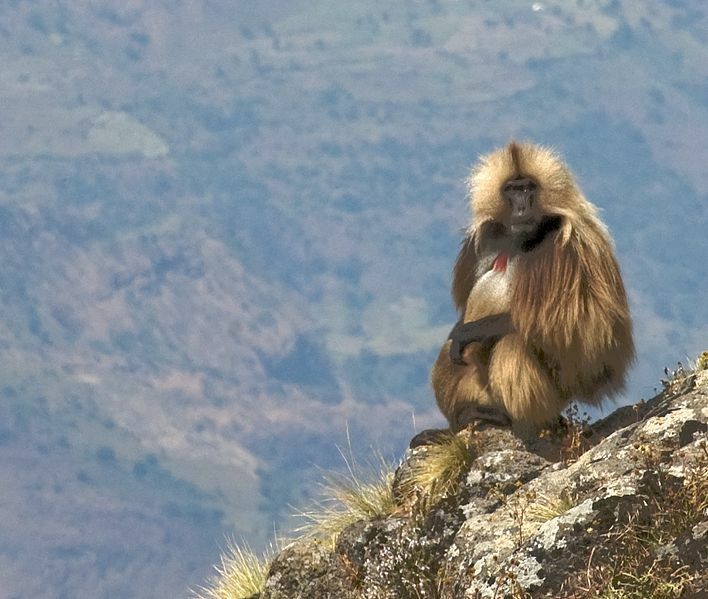 The gelada is the most terrestrial primate other than humans, and spends most of the day grazing along cliff edges high on the Ethiopian plateau. It is reckoned that there are about 250,000 of these hirsute creatures, but numbers are declining. Find out more about gelada baboons.